So, so true! 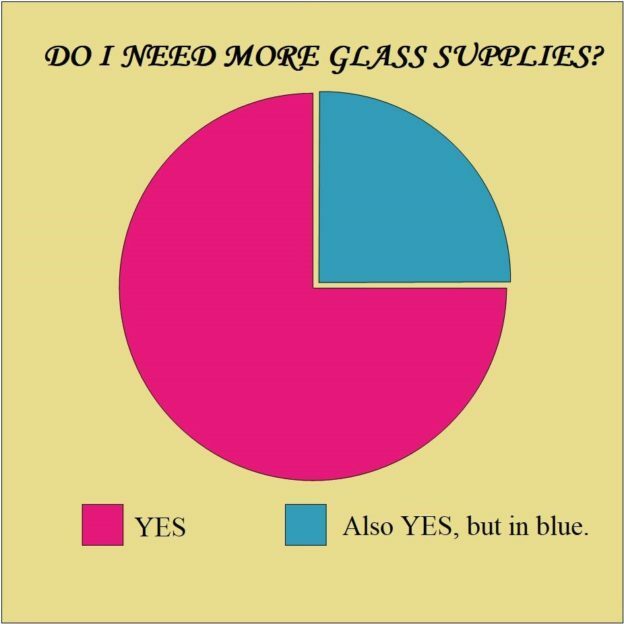 And mostly it is glass. You just can’t stop. Sometimes it is for a project, sometimes because it is a basic color that you always use, and sometimes it is just because it is too beautiful or unusual to resist. Thank you for that. You keep the industry going! We have a great stock of heads and tails in for our annual Invite Night sale April 6th. They will be available to one and all after the sale. 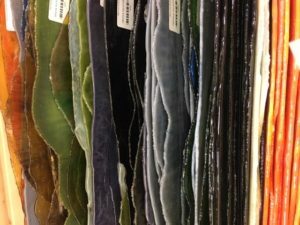 This entry was posted in Events, Misc., New Products, Stained Glass on April 4, 2019 by admin.